ACO StormBrixx is a patented plastic geocellular stormwater management system. StormBrixx is designed for surface water infiltration and storage, and its versatility allows it to be used in varied applications across all construction environments either as a standalone solution or as part of an integrated sustainable urban drainage (SUDS) scheme. 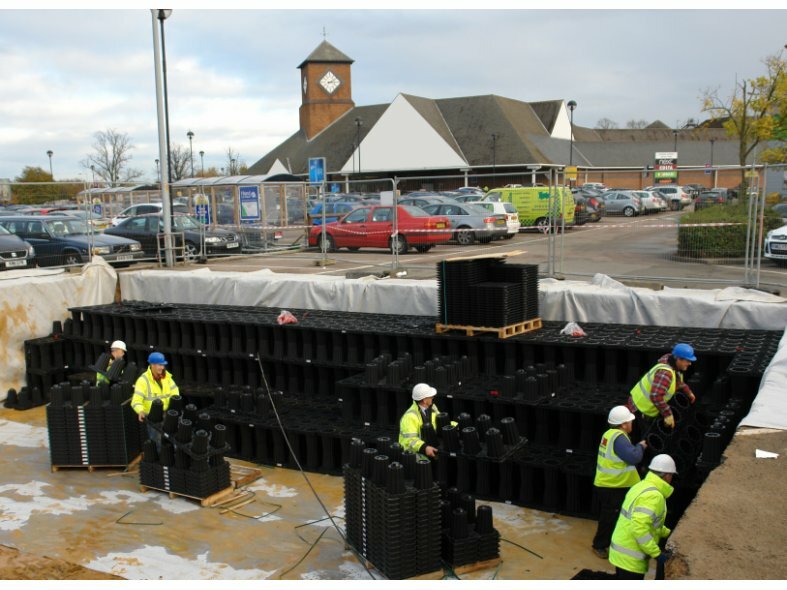 StormBrixx addresses the fundamental need for access and maintenance for SUDS Approval Boards (SABS) and water companies, while still retaining the structural integrity of installation. An open cell structure permits completely free access for jetting equipment and CCTV, allowing the whole system, including all extremities, to be inspected and maintained from just a few access points. While the patented brickbonding and cross bonding feature gives a strong, long term installation that also helps to improve the construction speed of the tank. 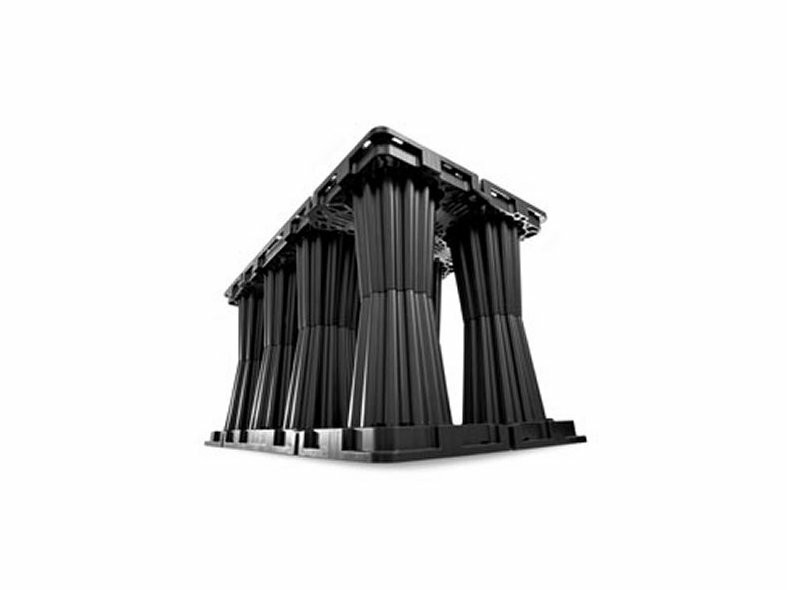 StormBrixx simplifies delivery, any site logistics and installation due to its stackable design. The ACO StormBrixx system comprises of a single recycled polypropylene piece which can be assembled in differing ways to form an open bonded structure. StormBrixx's unique pillar configuration gives a high void ratio of 95%. Minimising the excavation that is required to reach a specified storage capacity, reduces the amount of aggregate needed for backfilling, and helps to improve the flow characteristics of runoff through the installed tank. For lateral support side panels are added to the perimeter of the system support and top covers are also added to ensure consistent vertical support for the cover fill material. Accessories available include inspection point and pipe connectors, geo-membranes, and geotextiles and a 600 x 600mm access chamber for full inspection and maintenance. StormBrixx can be configured to minimise silt accumulation and an added feature of a low flow and drain down facility ensure that the system can be properly maintained.